One of the most widely used teaching aids. 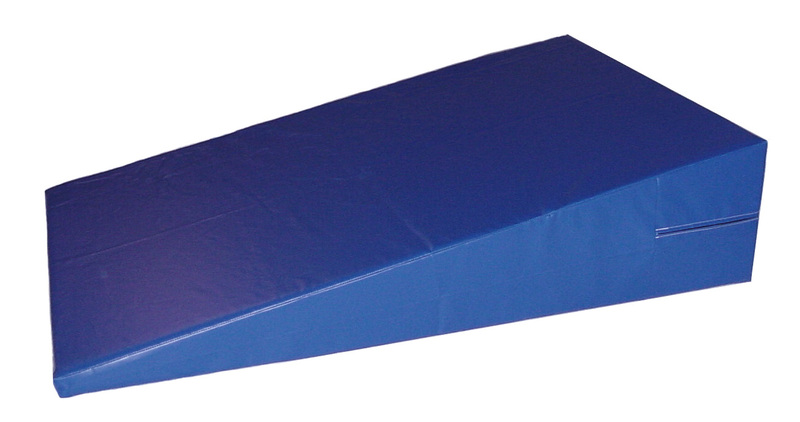 The incline mat is used to learn rolls, walkovers, and other gymnastic skills. 18 oz. vinyl cover is filled with prime polyurethane. Choice of colors. IM2337 - 23" x 37" x 14-2"
IM3672 - 36" x 72" x 16"-2"
IM4872 - 48" x 72" x 16"-2"
IM6084 - 60" x 84" x 18"-2"